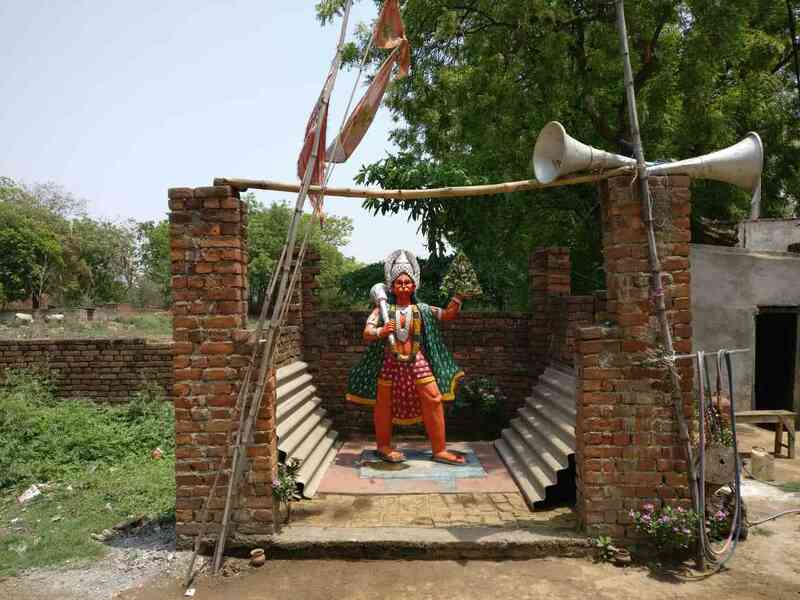 A strong push for Ram Navami and Hanuman worship is overshadowing the indigenous festival of Shiv Gajan in the state’s Purulia district. Sweat beads dotting his brow, Prasanjit Rajwar adjusted his saffron bandana and panted, taking a breather. 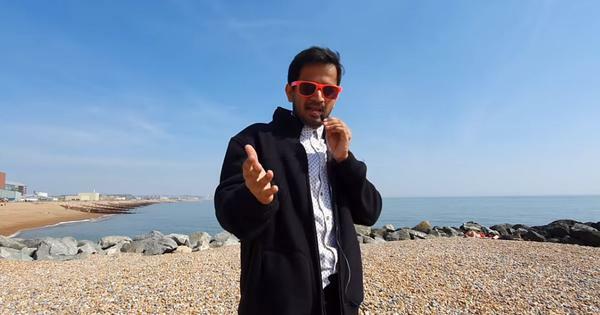 In the midday April sun he stood behind a wall of loudspeakers two-storeys high on which the chant of “Jai Shree Ram” was set to music and playing on a loop. Rajwar and hundreds of young men around him erupted in a frenzy, dancing to the techno beats from the loudspeaker-wall. Thumping bass and flailing bodies flooded the narrow street. This is how Purulia, a small town in the state of West Bengal now celebrates Ram Navami, a homage to the hero of the Hindu epic, Ramayana. But this wasn’t simply a religious event. 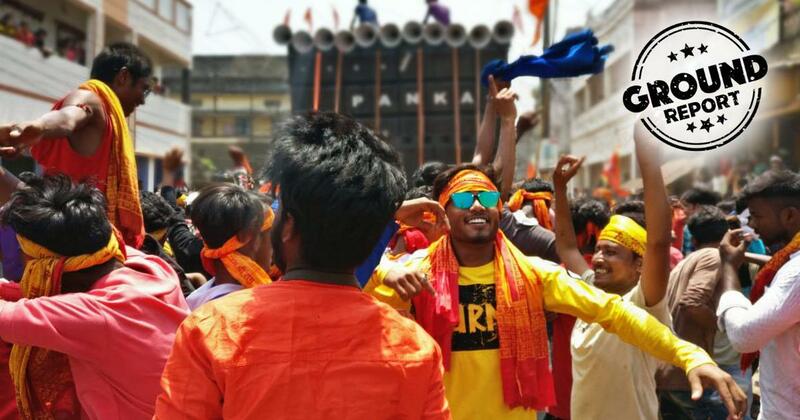 Rajwar was dancing at a parade organised on Saturday by the Bajrang Dal, a part of the Sangh Parivar, which also counts the Bharatiya Janata Party as a member. 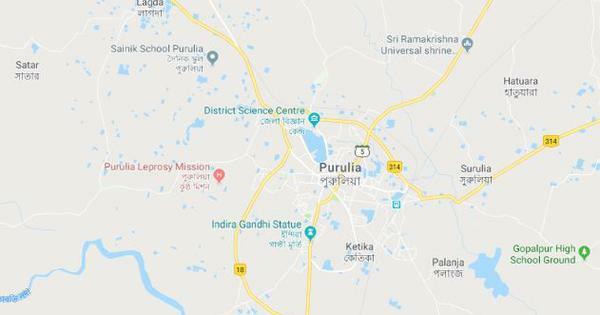 In the past decade, Purulia district has seen incredible political flux. The area’s Maoist militants have been wiped out, the Communist Party of India (Marxist)‘s star has waned and the Trinamool Congress has been in power since 2011. 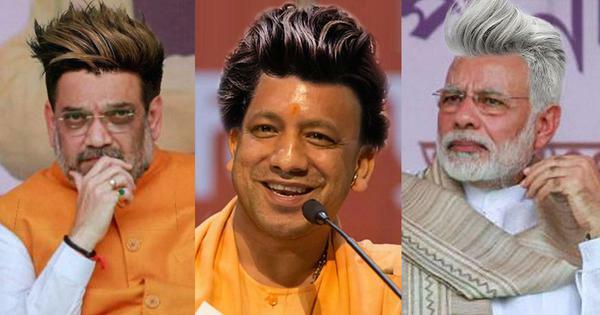 These changes have made space for an aggressive form of Hindutva to rise. 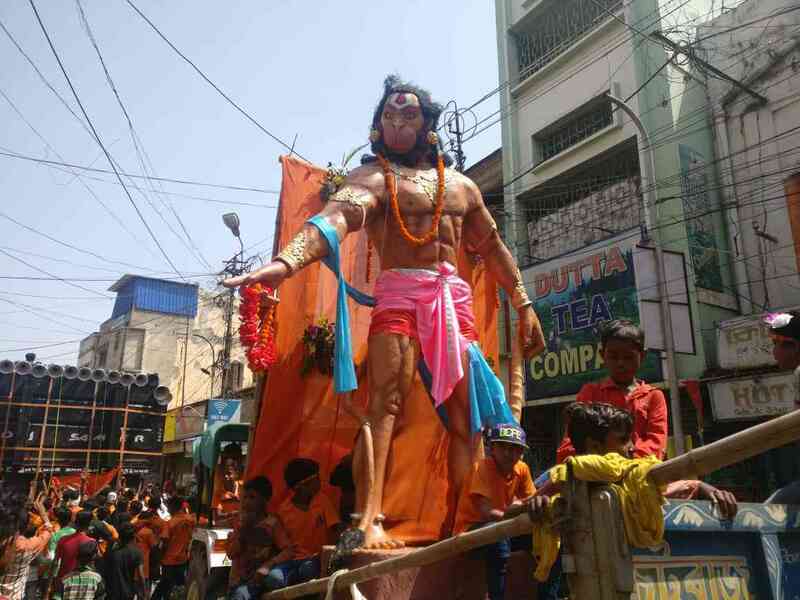 So strong is the force of aggressive Hindutva in Purulia now that the Trinamool organised its own Ram Navami parade on Sunday, copying everything right down to the techno music. The target: the upcoming 2019 general election. 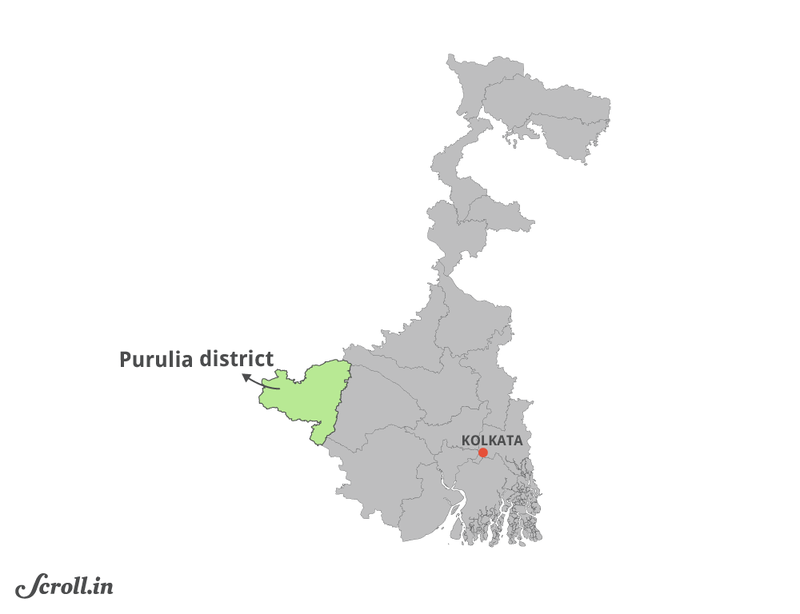 Purulia votes on May 12. However, the effects of this go much beyond the polls. While this Hindutva mobilisation is making the town’s Muslims anxious, it is also overshadowing the indigenous Gajan festival celebrated to worship Shiv and other tribal deities. 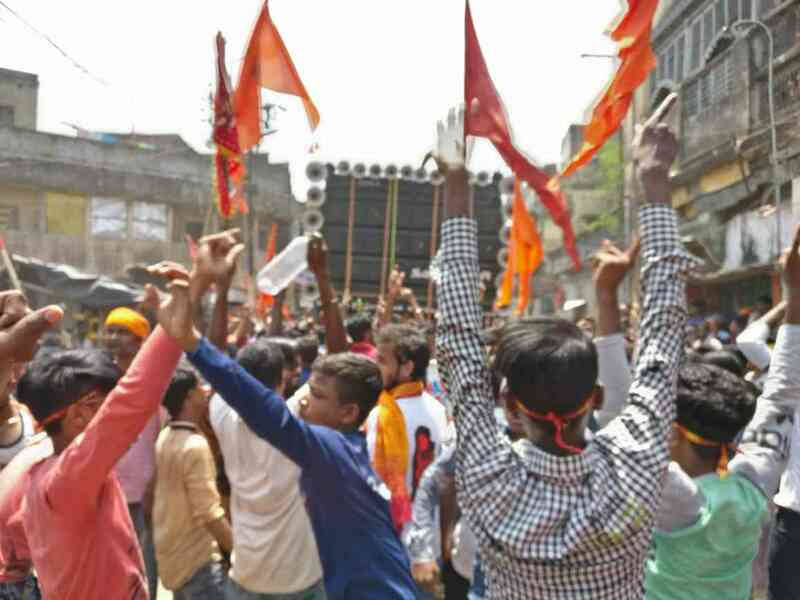 The Bajrang Dal has been organising Ram Navami parades since 2017 in Purulia district. The procession in 2018 saw the open display of swords and knives. The belligerent marches resulted in clashes at multiple places in the district with one man allegedly murdered. The 2019 procession, however, had no brandishing of swords and knives. Instead, the focus was on revelry, with crowds of people dancing behind massive loudspeaker sets powered by mobile generators. The songs, consisting of hard techno beats interspersed with religious slogans in Hindi, had been imported from north India. Unlike Bengal, India’s Hindi-speaking states have a long tradition of celebrating Ram Navami. On the ground, however, the parade seemed very much like a BJP function. Both the Purulia Lok Sabha candidate from the BJP as well as the district party leadership took part in the procession and much of the organising was done by local party functionaries. The runaway success of this form of Hindutva mobilisation can be seen from the fact that the Trinamool decided to copy it this year in Purulia. 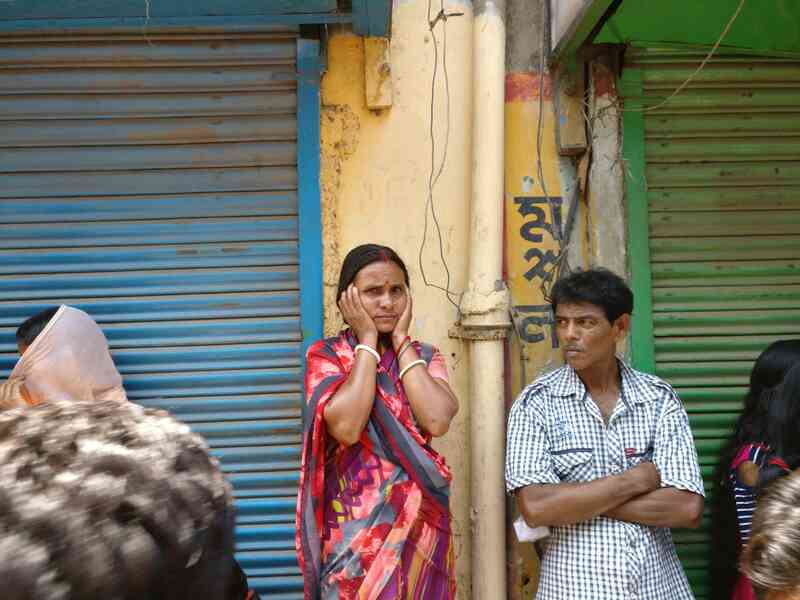 Held on Sunday, the Trinamool parade had more loudspeakers but fewer people. Moreover, the participants were far less enthusiastic, with many coming from the surrounding villages rather than the town, unlike the BJP rally. “The Trinamool Ram Navami is organised by paying boys from the villages,” alleged Satyajit Adhikari, Purulia town president of the BJP. Like the BJP, the Trinamool officially denies involvement in the rally. “This was done by private people, clubs and temples not the Trinamool,” said Gaurav Singh, who jumped from the Bajrang Dal to the Trinamool Youth Congress in September, 2018. Singh had organised the first Ram Navami parade in 2017 for the Bajrang Dal and was now the chief organiser for the Sunday parade. This phenomenon is not limited to Purulia. Over the past two years the BJP has organised armed Ram Navami processions across the state. In some places, the Trinamool has also countered with Hindutva parades of its own, mostly with little luck. 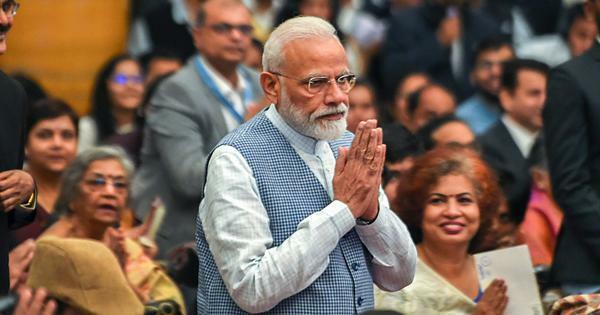 The BJP has grown significantly in Bengal on the back of this Hindutva politics and heads into the Lok Sabha elections as the principal opposition to the ruling Trinamool – a significant rise for a party which, historically, did not have much of a presence in the state. The Adivasi Kudmi Samaj represents the Kudmi Mahato caste that, according to informal ground estimates, is around a third of the population of Purulia district. Now classified as an Other Backward Class, Nripen’s organisation is lobbying to see the group recognised as Adivasi and included in India’s Scheduled Tribe list. The demand was supported by the West Bengal government in 2018. However, the Union government is yet to take a call. Mahato’s observations on the region’s changing religious mores are reflected in the rapid growth of new religious structures. The Telegraph reported that 500 new Hanuman and Ram temples had come up in Purulia district over the past year. Gajan is observed by lower castes Hindu Bengalis across West Bengal, Bangladesh and parts of the North East. 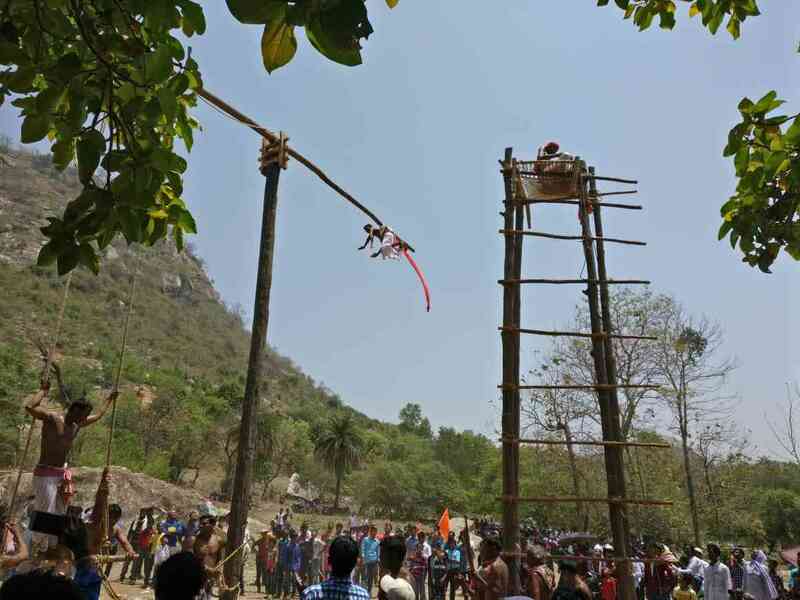 One of the largest Gajan festivals in Purulia is held in the tribal-dominated area of Ajodhya hills. 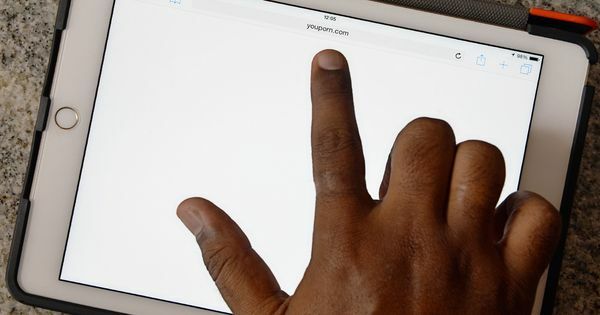 Even this, however, is not very big anymore: when Scroll.in visited the fair on Sunday, there was only a fraction of the crowd that was there at the town Ram Navami the day before. At the fair, sanyasis swing from a pole high in the air, suspended using metal hooks. On the sidelines, people from the surrounding villages as well as from the neighbouring state of Jharkhand play games and eat snacks. Other rituals for Gajan in Purulia involve the Chhau dance and animal sacrifice.